Packing stresses me out and I won’t even try doing it without a travel packing guide. Ten minutes after I book my trip the excitement fades and I’m left staring at the real-life planning part of travel. I feel the anxiety start to brew in my belly – a condition called TPSD – Travel Packing Stress Disorder. It’s a real thing! I developed this disorder after a few awkward luggage experiences. First, there’s the time I had the largest suitcase, by double or triple, of my entire group (one time!) There’s the psyche-scarring time my bag rolled down the conveyor slapped with a fat, neon orange sticker screaming HEAVY. That baggage handler needs to hit the gym. What really launched my packing anxiety disorder came from a terrible underpacking experience. It was during a trip that suddenly included dinner at a swanky restaurant and everyone magically had the appropriate clothes – except me. A fellow traveler told me “no dressy clothes needed,” so, experimenting with packing light – I left them out. And there you have it. Can you understand why I get anxious when I start packing – or even think about packing? Still, the day came when I knew I had to find a way to get over or get control of my packing anxiety for the sake of my love of travel. Plus, I was sick to death of having the “I hate packing” conversation with myself and everyone within ten feet of me. A bazillion times is evidently my max. So I started with one simple step – thinking about the big packing picture. I asked myself one question, “What will I need every trip – no matter where I’m going?” Toiletries. So obvious! No matter what climate or season or how long I’m traveling – I need my lotions and potions. And so do you, right? Ok, one down. From there, I listed the other categories of things I need when I travel: Clothes + Shoes + Outerwear, and Miscellaneous/carry-on items. I created a packing list for these categories, too. Combined, they represent the ultimate guide to packing for travel. Finally! This organized and sane approach was the exact opposite of my standard MO for packing my suitcase. The process went down with me standing in front of a mirror next to a pile of clothing candidates vying for a spot in my bag. 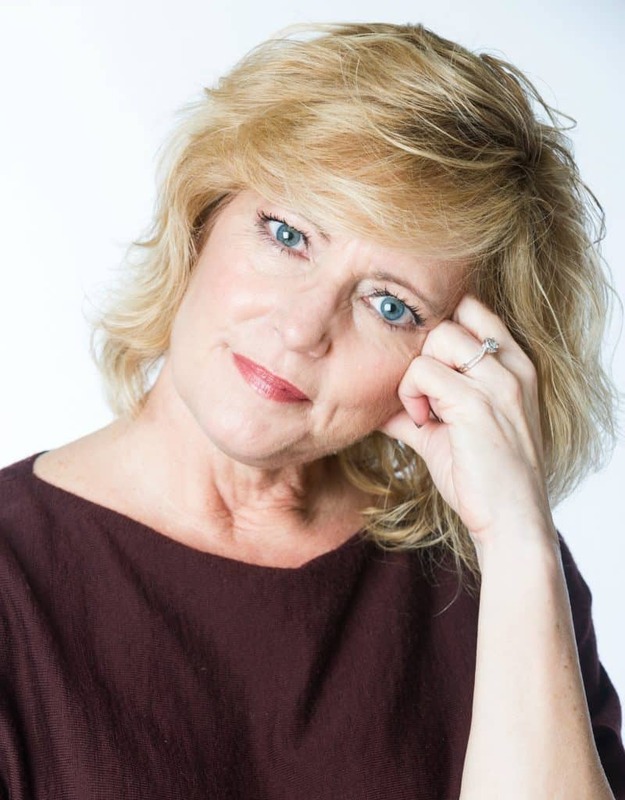 The ‘interview process’ was me trying them on – separately, together, with different shoes, and different bras. I needed Zen Quiet and complete privacy to get through it and keep my anxiety at bay. It usually ended with a shopping spree to find that-perfect-thing-I-can’t-believe-I-don’t-own…in black. It was an anxiety-filled process that made trip planning a nightmare. Now I use my simple guides to pack. Drama be gone! Transparency: I might buy something new for a trip, but only if I need special equipment (or have a fluctuating waist size) based on my destination. Sharing is caring, so please use these to your heart’s content. I’ll present them to you one at a time, beginning with Toiletries. Here’s to creating a lasting cure for TPSD! Red Alert: this is not the perfect guide for the traveler that uses a ‘multi-purpose cleaner’ for body, hair, and teeth. (No. I can’t even.) Although this list can be tweaked for you – if you find yourself reading it anyway. It is the ultimate packing guide for those of us who use specific, special products and plan on maintaining that practice globally. We’re packing our potions and lotions – and all the equipment that goes with them – or we’ll be the one to choose an acceptable stand-in. But some products are non-negotiable. Think through your daily cleansing and primping process step by step. Start with your toothbrush and deodorant, or start with your morning shower. Identify what products you use, either by listing them or putting the actual items on your counter. If you use actual items, group them into morning and evening piles. It’s great to have a detailed checklist to use, but if it doesn’t fit your trip – how does that help? Well, you need to edit the list before you pack your things. Go through your list and edit based on where you’re going and for how long. Some items like insect repellant or extra sunscreen depend on where you’re traveling. Bring a couple of blister treatments, regardless – for toes and heels – if there’s hiking or just a lot of daily walking expected on the trip. Next, check online to see if any of the brands you use come in travel size and what they cost. You might save money by pouring or scooping from your normal supply into reusable travel containers. Also, make sure you have enough of any unique items you use to get you through your trip and a few days after you return. Replenish and replace what you need. 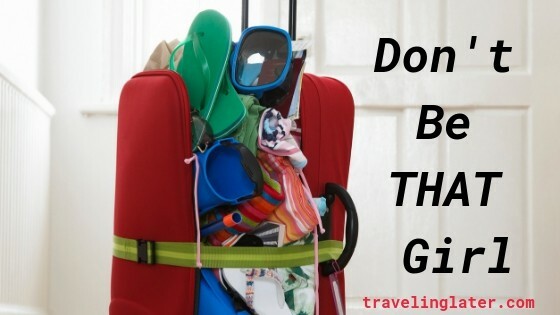 Run-out of special items on your trip, or even on the last day, and HOLY-moly it’s stressful. And irritating. These are rare or hard to find things you purchase online or in one particular department store. While you can buy most things in most civilized countries, you might have to hunt long and hard to locate a specialty item. Waste of precious travel time and added stress! At this point, you have to commit to bag checking or carry-on to plan the container size you’ll need to use. If you’re checking your bag (Ow. That makes my head hurt.) you need 3.38-oz containers, max, in a see-through carry-all to get through Security. Note – some high-end products aren’t available in the appropriate size. Nor will you be able to pump or scoop every product into a smaller container. I use this hair styling product and I’ve never found anything smaller than a 5.2oz container. It can’t be taken out of the container until use. Where possible – take smaller sizes of special potions – either by pouring some in smaller containers like these used for a carry-on or buying them in a smaller size if available. To save space, bring two small containers of the same thing if you’ll be gone long. For instance, I pack two of this size of my contact lens solution because they take up less room than one large bottle. Do yourself a HUGE favor and get that mani-pedi just before you leave. Think about going with clear polish for longer trips. Why oh why would you want to waste a solitary minute of your trip worrying about chipped polish? You could pop into a local shop, but is that how you want to spend that precious time? Definitely throw in nail clippers and scissors (Hello! Checking that bag! ), but otherwise, LET IT GO. I bring my makeup and brushes in one little bag. At home, my brushes are kept separate from my make-up. But when I travel, I bring only the makeup and brushes I’m going to use loading them into a soft-sided bag that packs into suitcase nooks + crannies. No giant color palette of eye shadow “just in case” allowed! Bring a basic look and be done with it. And speaking of that make-up bag – what are you thinking of taking? I’m not talking about the one that has lipstick/pencil and a touchup of blush. I mean the one with your hard-core war paint. Let me reiterate a point I made above – I’m going out on a limb here and say put all of it in a medium size soft-sided canvas bag that zips shut. Go on – go for a bag that makes you laugh. It’s probably a really good idea to take one precaution. To prevent an inflight liquid eruption from air pressure changes, don’t fill any bottles more than 75%. You can also put a bit of plastic wrap over the opening of the container, then replace the lid to be Uber cautious. Consider packing another small soft-sided bag with your hair items: scrunchies, ties, bobby pins, and even the wide-tooth comb, to keep them safe from liquids and accessible. **I put these into my carry-on or I attach a couple of elastic hair ties to the handle of the brush I keep in my purse and leave the small bag in my suitcase. Add in items I need based on the unique location: bug spray, etc. Assemble it in my travel toiletry kit then throw it in my suitcase when I start packing. 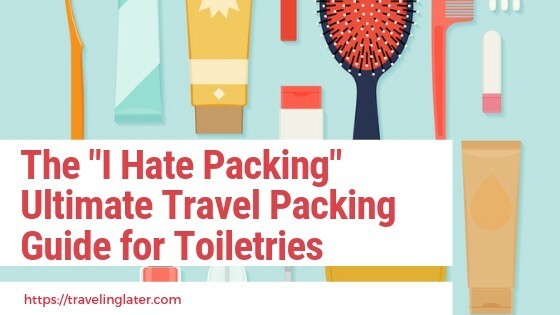 The best part about this is you can actually pack most of your toiletries ahead of time and not risk leaving home without them. Not allowed: a large bottle only filled with 3.38 oz of product. Airport security has no way of measuring the amount in a larger bottle. And seriously – we’re already waiting too long in those lines – so help a fellow traveler out and don’t do this. That’s an automatic fail on the TSA pop quiz – put your items in the trash can over there. Sorry, not sorry. You’ve been warned. Don’t bring potions for special beauty treatments you do sporadically – like once a month or even once a week. Come on – skip it this time because A) You’re having an amazing experience where you’re going and it’s going to supersede a miracle beauty treatment. And B) consider having “it” done (whatever “it” is) at a Spa at your destination. Way more fun and makes your bag lighter. Don’t try out a new product while you’re traveling – unless you’re filming a horror movie while you’re there. I’m visualizing an ugly red rash, some localized swelling? Who really knows what might happen? Let’s stick with the tried and true and let your adventure come from the itinerary. Don’t bring a supply of ‘Just In Case’ items, unless you’re going to a super remote area. If you’re visiting civilization – you can buy what you need when you’re there IF you need it. The packaging will look different, but it’s the same product – or a BETTER product! That’s been my experience, even in a small surfing village in Mexico. I don’t know why some people feel like it’s a badge of honor to pack like a Girl Scout. And just because I believe in and love to check my bag does not mean that I will overpack. I once traveled on a gigantic, modern cruise ship in the company of a woman who packed every modern convenience known to mankind in her jumbo-size suitcase. She was so proud of her stuff. She had boxes of plastic baggies of every size, a portable clothes line, collapsible cups and bottles, plastic garbage bags, medications for 25 illnesses – none of which she had, but just in case. The mind-boggling list literally went on and on. But a cruise ship is a mini-city – they have everything. In fact – all of those things, if you needed them. So don’t be That Girl. Read through my list. Think through your routines for morning and nighttime. Assess if you need extra items based on locale and length of trip you’re taking. Make sure you have enough of your special potions. Close all lids tightly. Now, what did I forget? Let me know in the comments! Love this guide. So informative for every type of traveler. Great Acquania!I hope it cures any packing anxiety you experience!